On Tuesday workers from the power company arrived on our street with a crane and cherry picker to replace a few power line posts, including the one in our vineyard supporting the power line to our house. They said our power would cut off each day for three days from 8:00 to 16:00. The next day, on Wednesday, we got the notice in our mail box that the workers were coming to do this work…. On the bright side, the weather this week was warm and sunny while they were replacing the poles. And it was nice to work outdoors while the power was cut to our house. No computer, not Internet, nothing but good work in the sun. And the poles did need to be replaced, especially the pole on our property. 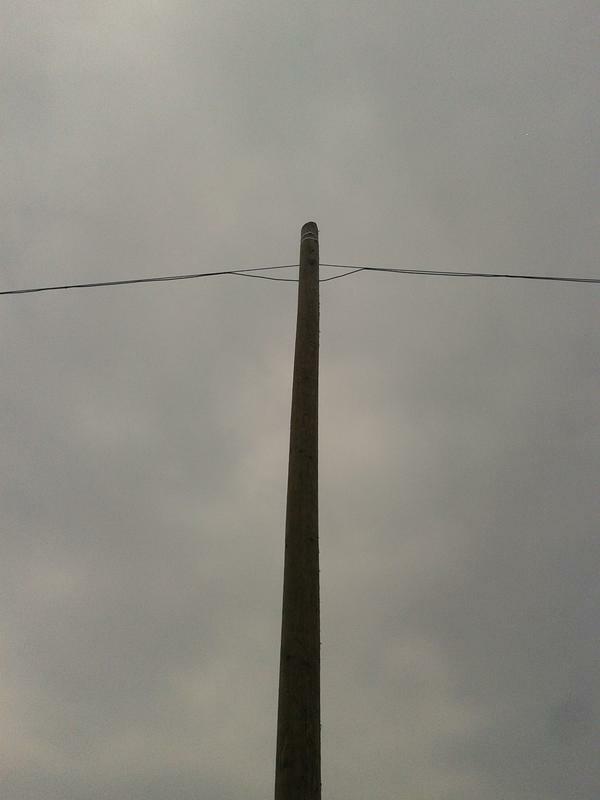 In fact, I had been looking at our power pole for a few years, concerned about its condition. I even inquired about costs to have it replaced myself. Nicely, the power company did the pole replacement without cost to us. 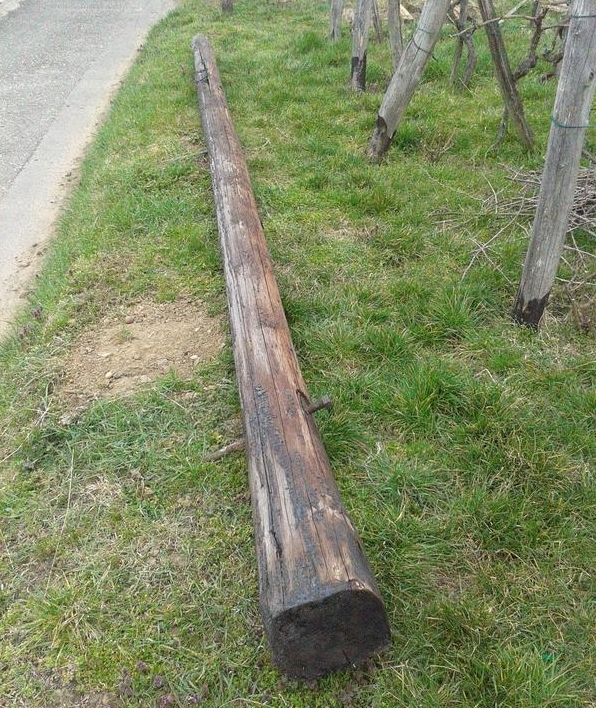 Old power line wood pole after removal. 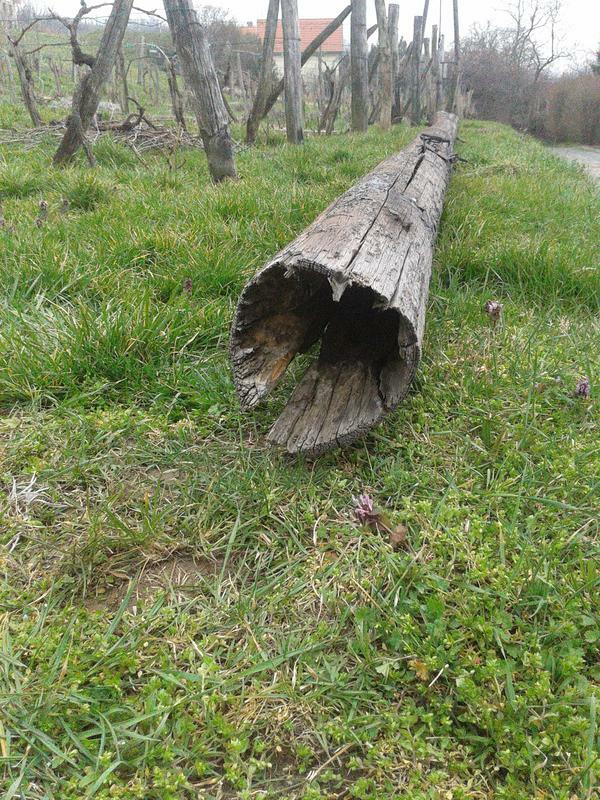 Old power line pole top rot. 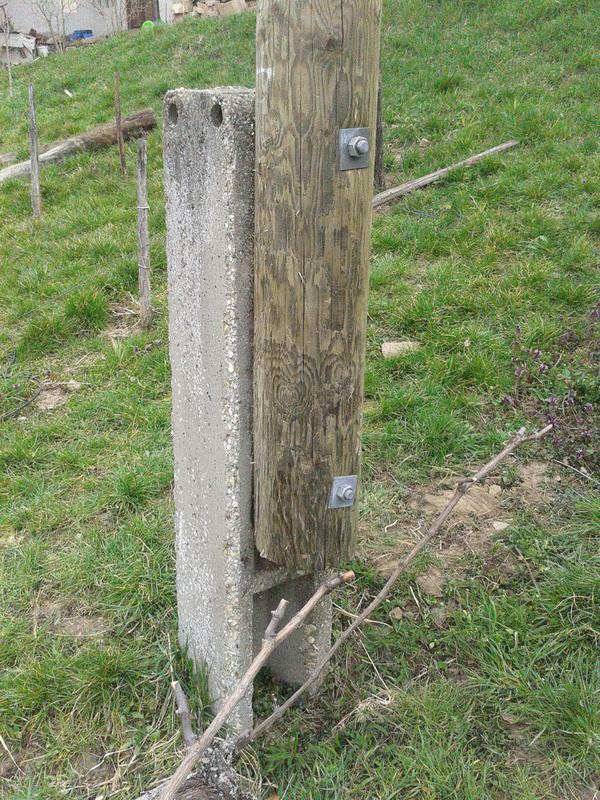 The new post is pressure treated against rotting (you can tell from the green tint to the wood). 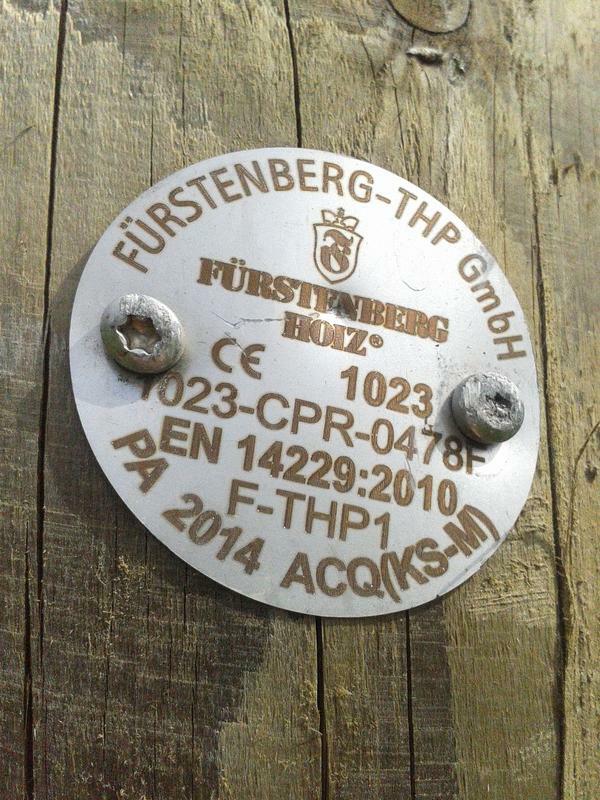 The new post was made in Germany. The new post today. The weather turned cold and raining again the day after all the posts were replaced and we have power again full time.